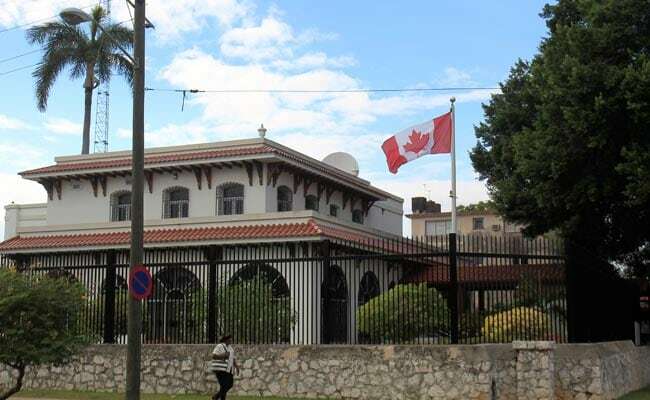 Canada is slashing staff at its Cuba embassy after another diplomat was diagnosed with a mysterious brain injury that has affected several dozen North American envoys to the island, the government announced Wednesday. The new case brings to 14 the number of Canadians — alongside 25 Americans — who have reported unexplained symptoms from dizziness, fatigue, headaches, hearing and vision complications, to loss of balance, nausea and an inability to concentrate. “Tests confirm that an additional employee has symptoms consistent with those of previously affected employees,” the foreign ministry said in a statement, adding that no cause had been identified. Canadian public broadcaster CBC said just eight officials would be left at the embassy. Canadian and US authorities initially suspected an attack using some sort of acoustic weapon, which led to heightened diplomatic tensions between Washington and the Caribbean island nation. American doctors and officials have pointed to “a new type of a possible acquired brain injury” outlined in a February 2018 issue of Journal of the American Medical Association by health experts at the University of Pennsylvania, who treated 21 US diplomats. Migraines: Why Do Women Have More Headaches Than Men? Our Expert Nutritionist Shares The Simplest Trick To Eat Fewer Calories And Lose Weight!